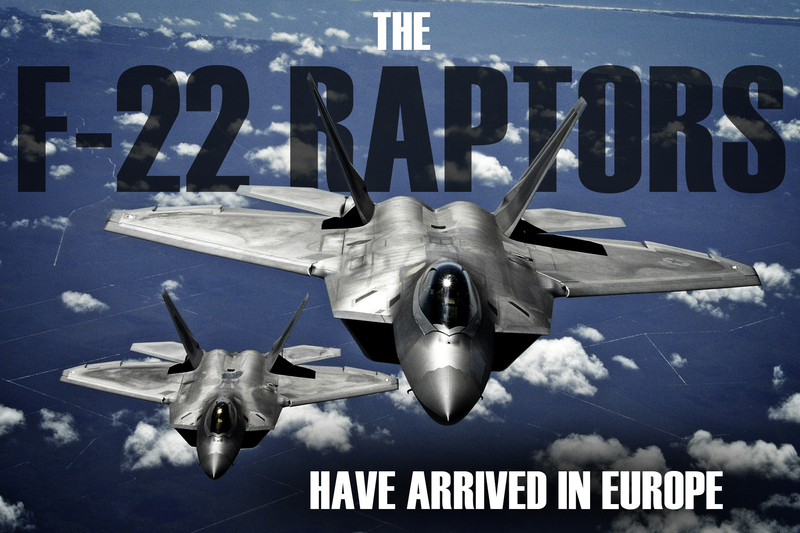 In its inaugural deployment, the F-22 Raptor has arrived in Europe earlier last week. There are be four F-22 Raptors, one C-17 Globemaster III, and approximately 60 Airmen who have arrived at Spangdahlem Air Base, Germany, to train with allied air forces and U.S. services through mid-September. This marks the first time the F-22 Raptor has been deployed overseas, namely Europe and bases there. This first-ever F-22 training deployment to Europe is funded by the European Reassurance Initiative, and provides support to bolster the security of our NATO Allies and partners in Europe. The F-22s and Airmen are from the 95th Fighter Squadron, Tyndall AFB, Fla. The C-17 is from the 60th Airlift Wing, Travis AFB, Cailf. “This inaugural Raptor training deployment is the perfect opportunity for these advanced aircraft to train alongside other U.S. Air Force aircraft, joint partners, and NATO allies,” said General Frank Gorenc, U.S. Air Forces in Europe and Air Forces Africa commander. The training will prove that 5th generation fighters can deploy successfully to European bases and other NATO installations while also affording the chance for familiarization flight training within the European theater. It will also give them the chance to conduct combat air training with different aircraft like U.S. F-15 Eagles and F-16 Fighting Falcons. With the response to precursor action of Russian military happening throughout the NATO membership countries lately, it is no wonder that the US Air Force decided to bring their best and shiniest toys to the playground as well. While this may only serve as a test and exercise, anyone in the aviation world clearly knows what this is all about right now; countering possible Russian land grabs or action elsewhere in the world. Let’s just hope this just comes up as a show of force, with the hostilities coming to an end in Ukraine and other various hot topics being resolved. Vanja has been in the automotive journalism world for the most of his writing career, handling daily news, concepts, new releases, reviews and tuning projects. With that, he also handles high-tech alongside military, commercial and other news in different fields of work.